TUALATIN — Gaven Jolley wasn't about to let anything get in his way. Not any competitor from the Three Rivers League. Nope, nothing was going to stand between Jolley and the championship. Jolley, a Sherwood High School junior, captured his third straight TRL title, claiming victory in the 126-pound weight class at the Three Rivers League district wrestling tournament, held Friday and Saturday at Tualatin High School. "It just means I can keep going from freshman year," Jolley said after his win in the district title match on Saturday. "I'm not slacking off, I'm doing what I'm doing to achieve my goals of being a four-time state champ." The top four finishers in each weight class at the TRL district tournament advance to compete at the Class 6A state tournament, which will be held Feb. 16-17 at Portland's Veterans Memorial Coliseum. Jolley, who is a two-time defending Class 6A state champ, will be joined by seven of his Bowmen teammates at this year's state event. For Jolley, there was a time, earlier this season, when it looked like earning another trip to the state tourney might be in question. 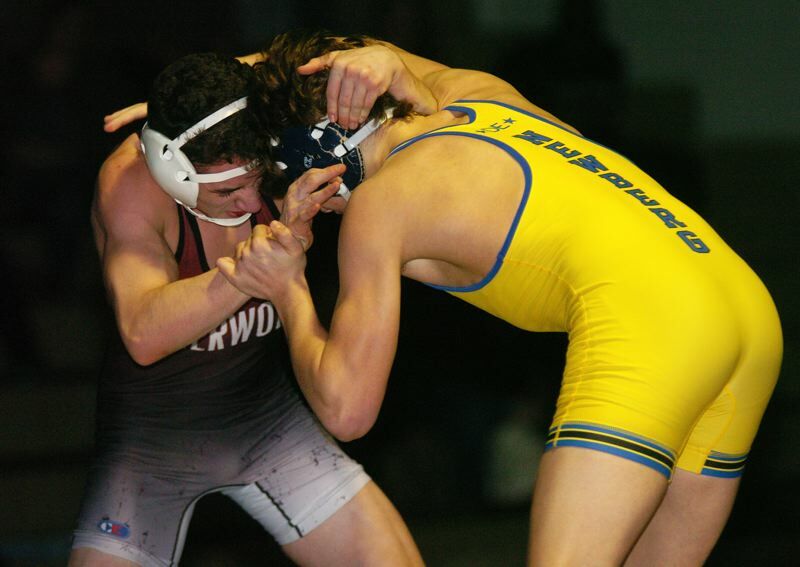 "I was wrestling at a tournament earlier in the season," he said, referring to the Tyrone S. Woods Memorial Tournament, held Dec. 2 at Oregon City High School. "I was feeling sick in the tournament, puking and stuff, and I ended up losing in the finals (an 11-7 decision loss to Jack Latimer of Camas, Wash., Jolley's only setback this season). The next day, my stomach was hurting and I went to the doctor, and found out that I had an appendicitis." Fortunately for Jolley, he had the time, and the determination, to come back strong. "I had four weeks off," Jolley said. "But I came back, and kept grinding. I'm feeling really good." That showed at the Three Rivers League district event. Jolley opened the tournament by posting an 11-2 major decision win over Canby's K'den McMullin in a first-round match. In the quarterfinals, Jolley pinned Lakeridge's Declan Glover in a time of 2 minutes and 17 seconds. He followed that up in the semifinals with a 26-11 technical-fall victory over Newberg's Diego Salinas. That put Jolley in the district title match against Newberg's Jonah Worthington. Jolley got off to a fast start in that match, scoring two takedowns, a two-point nearfall and a three-point nearfall in the first round, giving him an 11-2 lead at the end of the period. Jolley kept rolling in the second round, scoring on three more takedowns, and another two-point nearfall, giving him a 19-5 lead, before he pinned Worthington at the 3:50 mark of the match. "I wrestled Jonah earlier in the season, it was actually our last dual," Jolley said. "He's a tough kid. He's in good shape and has good technique. I think the score was close to 11-3, but I just came back all rested today and gave it everything. I was feeling good." Jolley will take an overall season record of 22-1 to the state tournament. Two other Sherwood wrestlers, senior Jack Murphy, at 120 pounds, and junior Jackson Barton, at 220, reached district tournament finals. Murphy opened the tournament with a 16-3 major decision win over Lakeridge's Cole Brink. In the quarterfinals, he pinned Canby's Ty Leder in 3:55. In the semifinals, Murphy posted a 9-3 decision win over Tigard's Killian Ryan. In the championship match, Murphy fell 11-1 to Newberg's Cody Fettig. Barton opened the tournament by pinning West Linn's Brian MacClanathan in 1:04 in a first-round match. In the semifinals, Barton pinned Canby's Michael Berens in 0:49. In the semifinals, Barton got an 8-4 decision win over Newberg's Isaiah Parker. 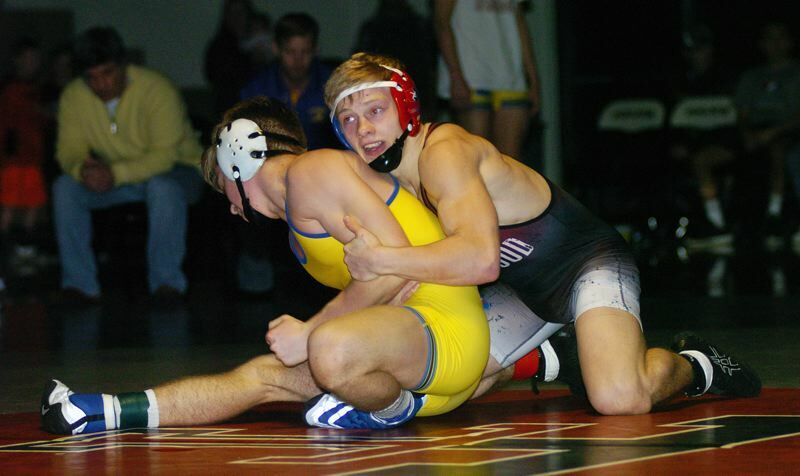 Barton then came oh-so-close to winning a district title, as he was edged 5-3, in an ultimate tie-breaker, by Canby's Stephen Rue in the championship bout. 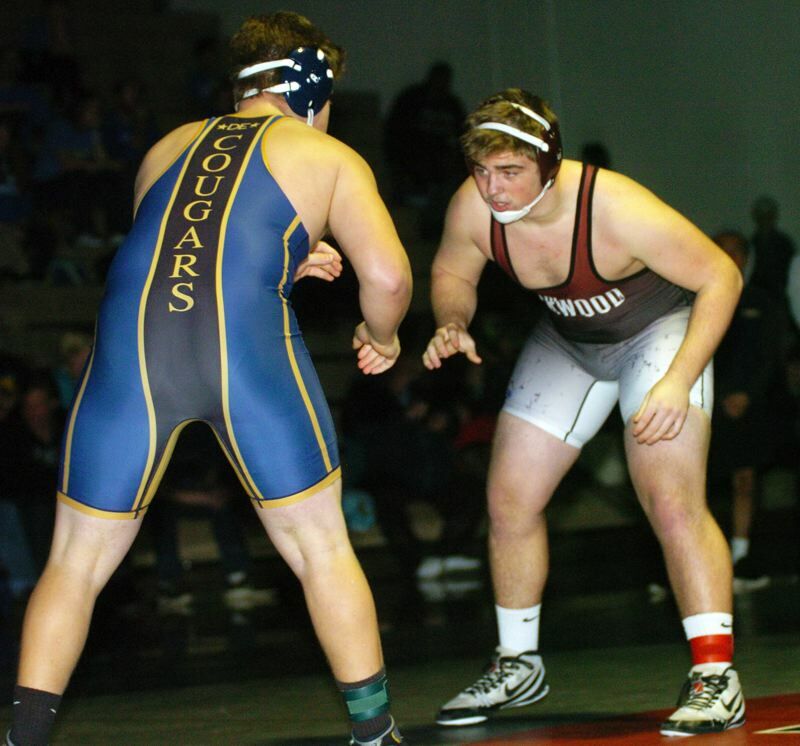 Placing third at district, and earning state-tourney berths, for Sherwood were senior Rustin Williams (182 pounds) and senior Jayden Cuthbertson (285). Placing fourth at district, and earning state-tourney bids, for Sherwood were sophomore Logan Swanson (113), freshman Dallen Jolley (120) and sophomore Philip Resch (132). Also for Sherwood at district, sophomore Brody Stevens was fifth at 138, junior Ian Stormont was fifth at 160, junior Clayton Wengert was sixth at 126, junior Andrew Fujii was sixth at 138 and sophomore Ian Glenn was sixth at 182. Sherwood finished in third place at the district tournament with a score of 221.5 points. Newberg was first with a score of 463.5 and West Linn was second at 228.5.